Before he retired, the longtime Pirate had a big enough hand in bringing Marvin Miller into the MLBPA. 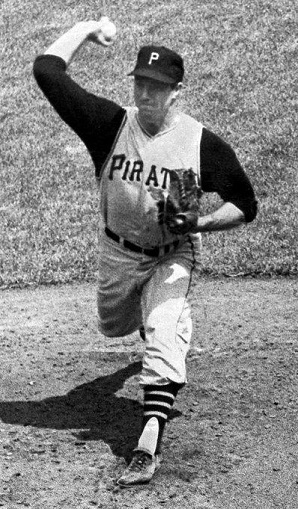 Friend on the mound for the Pirates during the 1960s. But Cannon decided to resign altogether if the players were as bent as they were (and the owners apparently agreed on this point) on the MLBPA office being in New York. They were, and he did. That enabled Roberts to re-submit Miller for consideration. And Roberts now had a key ally: Friend, who’d seen the light about Cannon versus Miller, realised Miller wasn’t either an owners’ plant or what Jim Bouton eventually referred to as “a knuckle-dragging, ‘deze and doze’ guy with a cigar out of the corner of his mouth'," and talked to Miller, who’d felt burned over the original vote. Friend unfortunately was murdered in that Series, starting twice, relieving a third time, and surrendering ten runs (nine earned) and thirteen hits in six innings’ work. The saddest part was how good he was on the 1960 regular season: he led the National League with a 4.07 strikeout-to-walk rate and a 2.54 fielding-independent pitching rate (ERA with defense removed from the equation), the only season his FIP was under 3.00. Thank you @EasyAce for an excellent appreciation of Bob Friend. He was and still is a beloved figure here in western PA and will be missed. It was hard for me to like Friend when I was growing up---he was a Met killer. Against any team who faced him eighteen times or more, Friend did his best against my Mets: a 14-2 lifetime record (they didn't beat him until 1965, I think) with a 1.61 ERA. 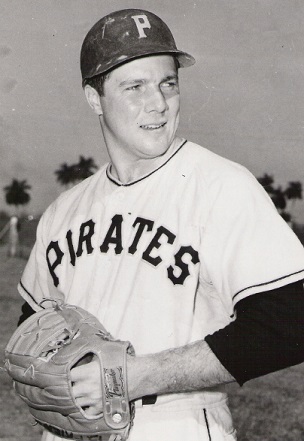 Figuring that if you can't beat him, make him join you, the Mets bought him on waivers from the Yankees in mid-1966, after the Pirates traded him for relief pitcher Pete Mikkelsen after the 1965 season. Friend was pretty much finished by then; he went 6-12 on the season but won five of those six as a Met despite a ghastly 4.40 ERA as a Met. When the Mets released him, Friend retired at 35. But when I later realised both how much hard luck he pitched in as a Pirate and his role in helping the players' union find and hire Marvin Miller, I came to respect him. He was a good man who probably deserved a lot better in his career.